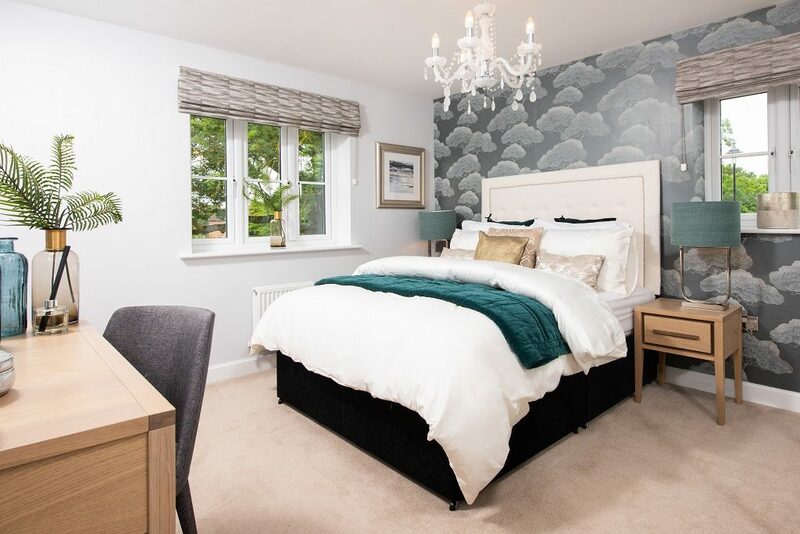 Are you thinking about decorating your spare room? You can easily turn this space into a lovely guest room for friends and family to enjoy. We have some tips to help you create the perfect home-from-home for your guests, with just a few simple steps. 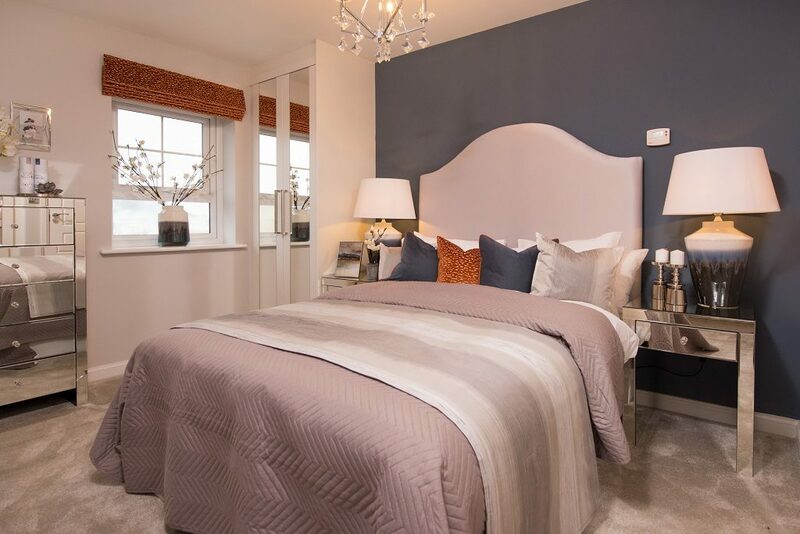 Choosing a paint colour for your spare room is the best place to start when transforming this space. As this bedroom won’t always be in action, with guests most likely only staying on weekends, you can push boundaries with decor if you want to. Choose a shade that can allow for interesting accessories to compliment the space. If you want to create a calm and relaxing space, try soft colours such as light beiges, greys and blues. This will freshen up the space, keeping it light and airy, while also letting any natural light do its thing. Softer colours work well on all four walls of a room, and can be teamed with rustic furnishings. A really popular trend at the moment is dark walled rooms, which can completely change the look and feel of any space. It’s a very modern twist on interior design, and works really well! So if you haven’t felt brave enough to incorporate this into your own bedroom, the spare room could be the perfect place to give it a go. Dark teals, greens, blues and greys look really eye-catching and will set the mood for the room. Using dark paint for a feature wall looks really striking, alternatively, going dark on all four walls will transform the space entirely. An effortless way to exude comfort and cosiness, introducing textiles into your guest bedroom will create a home-from-home feel that family and friends will love. The simplicity of adding a throw does wonders, and can really shape the look of the room. Try adding a faux fur throw to the guest bed. This adds a touch of sophistication while being cosy and warm. Cushions are a great addition to any bed, but don’t worry about everything matching. Inviting mis-matched patterns and sizes into the same space can create a more varied look. Tonal colours can work really well here, adding splashes of colours yet tying it to the overall theme of the bedroom. 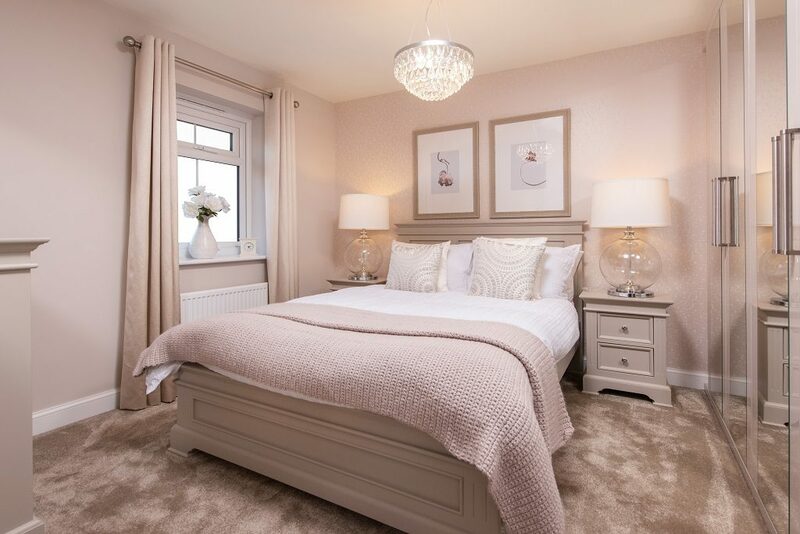 Our Barratt homes personalisation options can help you create the perfect home that’s tailored to you. Find out more here.